Land Destroyer: ISIS: US-Saudi Plague Reaches Indonesia? ISIS: US-Saudi Plague Reaches Indonesia? ISIS attacks conveniently mesh with Washington's growing frustration with Jakarta and its expanding ties with China. 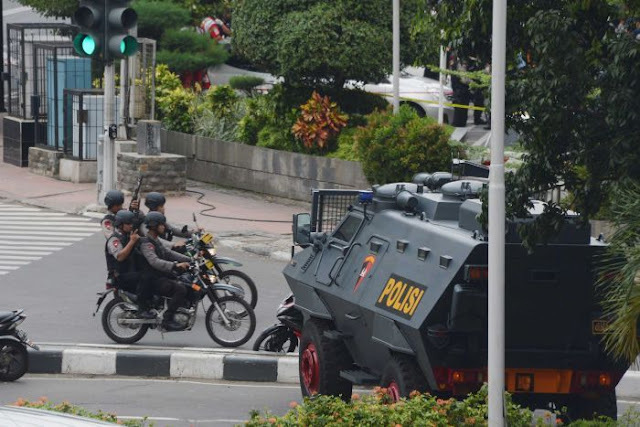 January 16, 2016 (Tony Cartalucci - NEO) - Coordinated bombings and mass shootings struck Indonesia's capital of Jakarta on Thursday leaving several dead and many more wounded. The pattern matched that of attacks carried out last year in Paris, France, where known terrorists Western intelligence agencies were tracking, some for years, were somehow allowed to mobilize large caches of weapons in Belgium and execute their coordinated mass murder with virtually no effort to stop them ahead of the attacks. 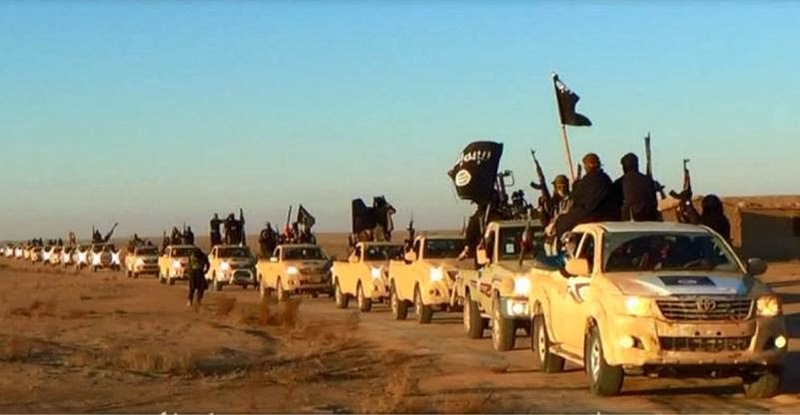 The so-called "Islamic State in Iraq and Syria" quickly claimed responsibility for the attack and the Western media has begun stoking fears that the terrorist organization has now spread to Southeast Asia. A pattern is beginning to develop. Wherever the US wants to put its military, ISIS shows up and conveniently justifies it. And whenever the US is having a problem persuading a foreign government to do what Washington desires, ISIS shows up. In fact, pretty much everywhere US foreign policy is in trouble, ISIS and similarly state-sponsored terrorism seems to show up and save the day. When the US' own Defense Intelligence Agency says the US sought the creation of a "Salafist principality," the verbatim definition of the so-called "Islamic State," in eastern Syria precisely where ISIS is now established, it is clear that ISIS is an enemy of the West in name only, and only to distract from the fact that this abhorrent terrorist organizations is in reality one of the West's most potent and far reaching foreign policy tools. ISIS is a reboot of sorts of Al Qaeda which the US and its Saudi allies first created - intentionally - to wage proxy war against the Soviet Union with in Afghanistan during the 1980s. Instead of waging war against the Soviet Union with Al Qaeda, the US is now waging an increasingly global war against Syria, Iraq, Libya, Afghanistan, and now clearly much of East and Southeast Asia with either ISIS or a similarly state-sponsored terrorist organization with. What the world is expected to believe is that the "Islamic State in Iraq and Syria" so named because of where it is supposedly based and primarily operates, is currently fighting both the Syrian and Iraqi governments, Lebanon's Hezbollah, Iran, and Russian airpower, apparently funded, armed, and backed by no one. Additionally, we are expected to believe ISIS is also fighting thousands of "moderate rebels" the US and its allies claim to have armed, funded, and trained to the tune of several billion dollars. Not only are they fighting these moderates backed by a multi-billion dollar multinational coalition, but are fighting and have been winning. But it doesn't end there. We are also expected to believe that ISIS is also weathering the combined military might of the US, France, Germany, the UK, Turkey, Saudi Arabia, Qatar, and Jordan. Image: If the US and its allies are arming, funding, and training "moderate rebels" to the tune of billions of dollars, who is arming, funding, and training ISIS on a greater scale that has allowed them to dominate the fighting in Syria and Iraq? The answer of course is there were never any moderates to begin with, and the rise of ISIS was very much intentional. And finally, we are expected to believe not only all of this, and that ISIS is independently supporting expanding operations in Afghanistan and Libya, but that ISIS now has the extra time, money, resources, and inclination to attack Indonesia all the way in Southeast Asia. Few nations-states on Earth possess the ability to do what it is claimed ISIS is doing, everywhere it is doing it, and to the degree of success it is allegedly doing it with. Among those few nations, there is only one that benefits from ISIS' activities. The United States. What's the US Using ISIS and other Terror Groups in Asia for and Why? It was just in August of last year that the joint US-Turkish terrorist group, the "Grey Wolves," were implicated in a bombing in Southeast Asia's Thailand. The bomb blast killed 20 and maimed many more in an attack that killed mostly Chinese tourists. The attack was part of a wider terror campaign backed by the US and Turkey in China's western Xinjiang region where Turkic Uyghur terrorists have been carrying out attacks for years. The US-Turkish backed Grey Wolves have been behind training and arming terrorists in China for years, and more recently have played a role in smuggling Uyghur fighters from China, through Southeast Asia - including through Thailand - and onward to Syria to fight the West's proxy war there. 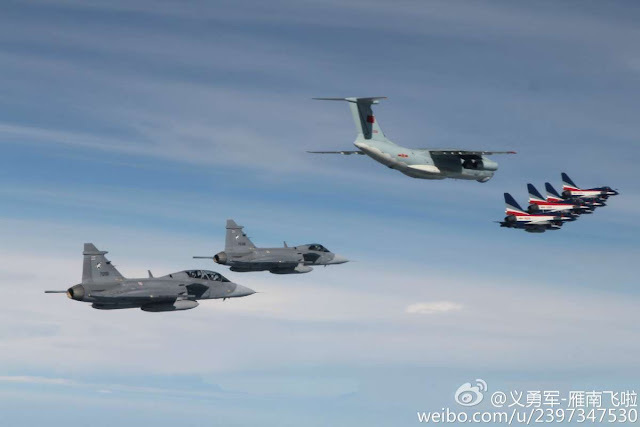 Image: Thailand and China conducted their first ever joint-air military exercises last year, amid ongoing efforts by Thailand to modernize its military through the purchase of Chinese weapon systems including armored vehicles and even submarines. . Killing Chinese tourists in Thailand was aimed at straining recent and growing ties between Bangkok and Beijing. Thailand has recently sought closer military and economic cooperation with China while slowly moving away from an increasingly meddlesome West. Bangkok had sought to purchase Chinese weapons, including several submarines. It already possesses Chinese-made warships and armored vehicles, and late last year conducted its first ever joint Thai-Chinese air military exercises. 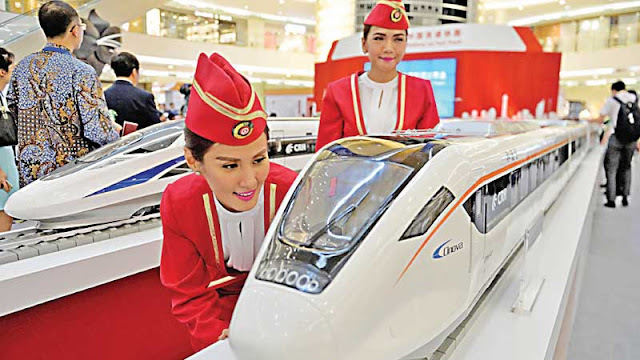 Economically, Thailand has been working with China toward a deal to construct additional rail infrastructure both in Thailand, and connecting the nation beyond, including to China itself. When the US has repeatedly placed pressure on Bangkok to join its provocations in the South China Sea aimed at Beijing, Bangkok has repeatedly insisted that the conflict is none of their business, and that they will play no part in it. The bombing in August by a terrorist organization which at one point was run out of the US embassy in Ankara during the Cold War, was a warning to Bangkok that if it hinders rather than aids US "primacy" in Asia, it will suffer destabilization. ISIS Punishes Indonesia for its "Sins"
And Indonesia is likewise "guilty" of many of the same "sins." Jakarta while occasionally challenging China rhetorically, has repeatedly avoided getting too deeply involved in America's provocations in the South China Sea. Additionally, Jakarta, like Bangkok, has sought to build greater economic ties with Beijing. This includes a deal that will see China construct a high-speed rail network throughout the country. China won the rights to build a $5.5 billion railway line in Indonesia as the Southeast Asian nation tries to upgrade its infrastructure to drive economic growth. The massive infrastructure project will boost both China and Indonesia for decades to come. With the economic opportunities mass transportation brings a nation, opportunities for Washington to use socioeconomic disparity as a tool to divide and gain leverage over nations like Indonesia internally as it and other Western powers have done in the past will dwindle. Additionally, that China is building such projects in both Thailand and Indonesia, will only lead to greater ties between Beijing and a rising Southeast Asia - a Southeast Asia rising on the back of expanding and improving infrastructure. With few attractive alternatives to offer Southeast Asia, the United States appears to have departed from offering "carrots" it does not have, and has instead resorted increasingly to the "stick." But instead of wielding that stick itself, it has handed it to the "Salafist principality" it admittedly conspired to create with its allies in eastern Syria in 2012. For the crime of wanting to move further out from under what the US itself calls its "primacy over Asia," Indonesia has been attacked, and now has the menace of ISIS being further still dangled over its head if it continues forging stronger ties with Beijing. Thailand and Indonesia are not alone. The US has openly declared in signed and dated policy papers that it believes controlling a unified Southeast Asian front, and arraying it against China, is the only way to encircle, contain, and eventually undermine and destroy the current political order in Beijing. 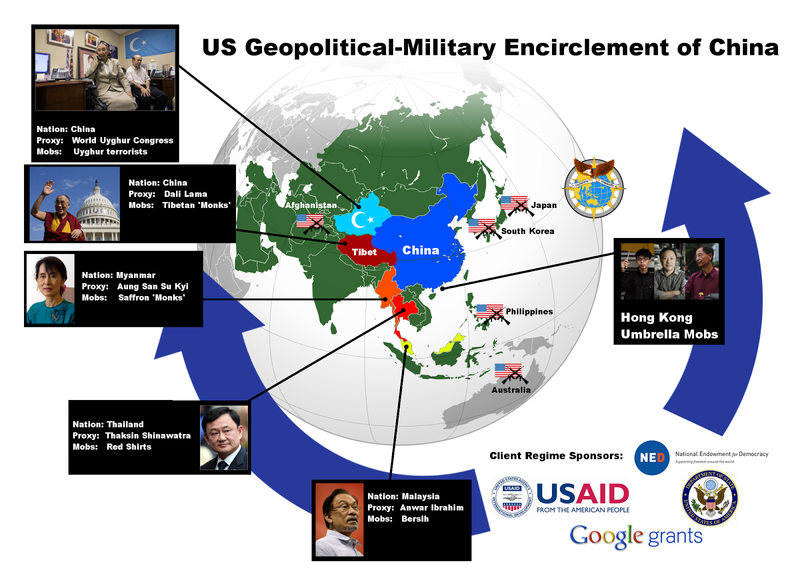 To that end, the United States has formulated an array of options ranging from supporting internal political subversion through US State Department-funded political fronts and nongovernmental organizations, to an increasing dependency on terrorism, to coerce Southeast Asia away from Beijing while dividing and disrupting Southeast Asia's own geopolitical future. The US and its allies could at any day expose and cut ISIS' supply lines leading from their various subsidiaries and fronts around the world, back to Turkey, Saudi Arabia, Qatar, and its other state-sponsors. Instead, the US protects and cover up this extensive, global state-sponsorship of terrorism. As such, when "ISIS attacks," it is really an extension of US foreign policy, and not merely ISIS alone that is committing this violence, nor for ISIS and its own agenda alone that it is being carried out. Most ironic of all, perhaps, is the possibility that because of America's dwindling credibility worldwide, and its waning influence in Asia, its complicity in the violence being carried out against the governments and peoples of Southeast Asia may - instead of creating a unified front against China - end up creating a unified front displacing Washington's influence form the region. In many ways this is already underway, and Thursday's attack in Jakarta may only stand to accelerate this process.